What is considered to be “Back and shoulder pain”? The most common injuries for golfers is back pain and shoulder pain. Approximately 85% of all Americans will have back pain at least once in their lives. Back pain is associated with the way our bones, muscles and ligaments in our backs work and connect together. Simply lifting something improperly, lifting something that is too heavy and an abrupt and awkward movement can cause the origin of back pain. What causes back and shoulder pain? The most common causes of back and shoulder pain in avid golfers are 1) overuse and over-practice 2) Poor swing mechanics 3) Over swinging 4) Not warming up the muscles properly 5)Traumatic force to the body resulting from poorly executed swing. 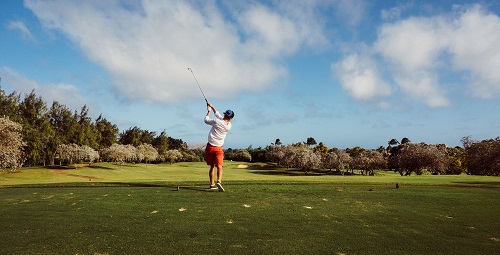 Pain can make it difficult to do simple things like putt, transfer in and out of a golf cart, retrieve golf bags out of your vehicle, bending to retrieve a golf ball, work on your computer, hold objects, throw, play sports, lift your kids, wipe after going to the bathroom and sleeping. If simple reaching and lifting makes it worse, or bending increases pain. If you have pain without even moving. If you have limitations performing all daily activities. If you notice extreme pain in your back. *If you experience any of these symptoms, call us immediately. If left untreated, back and shoulder pain can lead to a decrease in physical activity. Back pain often leads to limitations in daily life and physical activity (golf, tennis, sports, etc.) if left untreated. 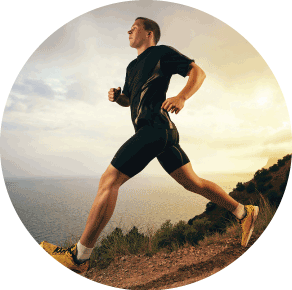 This leads to severe loss of motion, muscle weakness, and deeper pain results. Try This Self-Test to See If You Have Back or Shoulder dysfunction. 1) Start with standing with feet together, then bend forward and attempt to touch your toes keeping your legs straight. If pain gradually increases you have limitations with trunk flexion. 2) Next, stay in previous position and reach overhead to lean back as far as possible, if pain increases don’t repeat the test. Attempt to reach behind your head with the painful arm/shoulder. If pain gradually increases throughout the movement, it’s a sign that the bursa may be involved. Go as far as you can go without forcing into pain. 3) Slowly bring your arm back to your side. If the pain gradually eases as you bring your arm back down, it’s a sign that the bursa is involved. *DISCLAIMER: You must measure yourself correctly in order to get an accurate result. You may need to see a physical or occupational therapist to get an official diagnosis. How do you get rid of back and shoulder pain? My revolutionary “back conditioning” program helps get rid of back and shoulder pain and it often begins to work in as little as 1 session. Depending on the complexity of your condition, it may take up to 6 sessions to fix it. I discovered this solution while working with over 2,000 patients who suffered from back and shoulder pain during golf. As I treated their back pain, their posture and their balance seemed to improve as well. Not all traditional back and shoulder pain treatments lead to better posture (not by any means). And believe it or not, some may actually make your posture worse! My method is highly unique. I focus on balancing all core muscles, mobility, hips and shoulders all corresponding with your back. Hi, my name is Max I am a Licensed Physical Therapist Assistant who specializes in back and shoulder pain. I am an avid golfer who specializes in treating golfers with back and shoulder pain. Get rid of back and shoulder pain. Able to play golf pain free. Most feel better immediately. You can expect the pain to improve after the very first session! 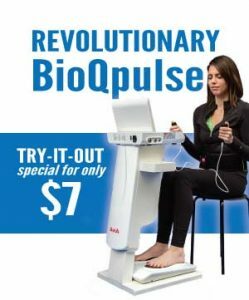 You could see improvement in your posture in as little as 7 days while participating in this program. Most achieve their goals in 6 sessions and continue on their own. Some require 12 sessions depending on the complexity of their condition. The cost ranges from $37 to $87 dollars per session depending on your insurance and most complete the program within 6 sessions. We also have affordable private pay options if you do not want to use your insurance. There is 100% money-back guarantee! If it doesn’t work, you can get your money back. There is no risk. *Disclaimer: If insurance is used to pay for treatment, the money-back guarantee does not apply due to strict state and federal insurance laws. Due to my limited availability, I only have a few spots available at any given time. It’s only for those serious about getting rid of back and shoulder pain to play a full round of golf, pain- free! If that is you, leave your information below and my assistant will call you to schedule your first session. Or you can call and schedule an appointment. Remember, this is only for you. If you are serious about results, click below to get started or call (719) 565-6678 now. A private one to one session by a licensed PTA and pain specialist. A detailed explanation of the ROOT CAUSE of your pain. A list of exercises and techniques you can do at home to start feeling better right away. Yes. All procedures are FDA cleared and proven safe. I am a licensed Physical Therapist Assistant with over 20 years of practice in the state of CO.
To find out more information and to see what Physical Therapy Connections P.C. is doing follow and like us on Facebook, Twitter, Instagram, YouTube and Pinterest!